Why gamble with your production? 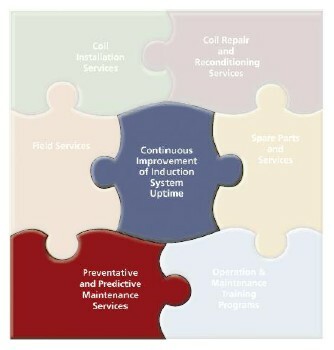 Induction system downtime is often avoided just by implementing a good Preventative Maintenance program. That’s why Ajax TOCCO developed P.M. procedures for any brand and each type of power system and will customize the overall program to meet your specific equipment arrangement and application. P.M.’s are professionally completed at your facility during a scheduled outage and cover the entire induction system(s). 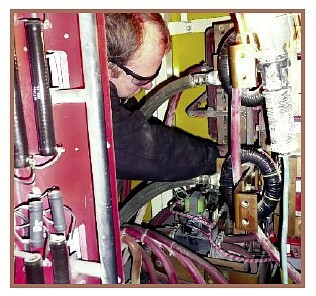 A complete electro-mechanical P.M. can uncover underlying issues so they could be corrected long before a major downtime event occurs. 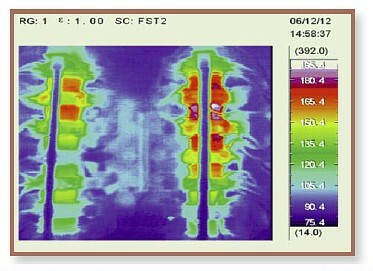 Infrared thermal image showing overheating inside of the induction power supply panel.